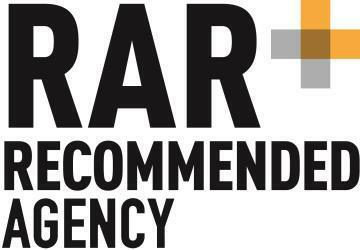 Weâ€™re delighted to announce that Azam Marketing has officially been awarded Recommended Supplier Status by the Recommended Agencies Register (RAR) following a rigorous review by RAR. RAR independently interviews clients of digital agencies throughout the UK to get feedback about their experience. Clients review the agencies they use confidentially, allowing them to honestly share their experiences. The accreditation is based on feedback from our clients against certain criteria: firstly, the clients give a score out of 100 for each service bought from us, secondly they give scores for our service levels including creativity, value for money and the ability to deliver on time, and finally they provide written feedback on how we handled their account. 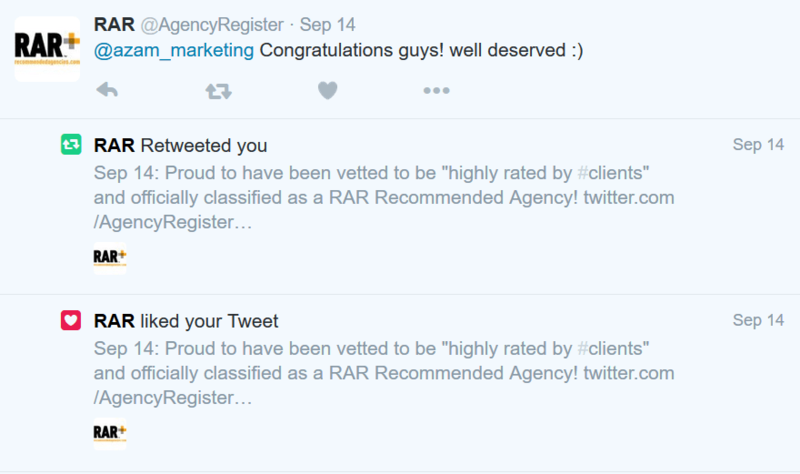 Only agencies that are highly rated by multiple clients during this process become recommended by the RAR, which is why we are so pleased to be on the register. Check out our profile on the Recommended Agency Register here, and to talk to us about how our expertise can help your business to bloom, call our Customer Services Manager John Mitchell on +44 (0) 20 33 55 4334 or email enquiry [at] azam.net . 400th Website Built by Azam’s Design and Development Gurus! Congrats on the accreditation. Based on our experience with Azam, it’s fully deserved! p.s. Thanks again Nadeem for coming to our office last week to train our staff. Not surprised Azam Marketing have received this accreditation as, based on our recent experience of using your agency, you folk are top dogs! Onwards and upwards you go ?